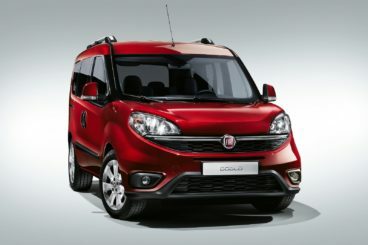 The new Fiat Doblo Diesel Estate is hardly the fairest in the land but it offers lots of value for money. It’s affordable to buy and run, practical and comes with the option of seven seats. Of course, its boxy styling is the main reason it lacks aesthetic appeal. On the flipside, its boxy styling is also the reason why it can offer so much interior space. Indeed, the model offers more bang for your buck than nearly any other car we can think of. OSV takes a closer look at what it’s all about with our 2018 Fiat Doblo Diesel Estate review. If you’re interested in finding out about the history of the Fiat brand read our informative article. Admit it – you expected the Doblo to be a pretty poor handler. On the contrary, it shares its platform with the smaller Fiat Punto, and this means that it actually handles quite well for a car of its type and shape. Body lean is kept to a minimum and it feels nice and composed on poorer surfaces. The steering is nice and light, and this ensures that the car is easy to drive in the towns and cities. It’s also easy to park. Moreover, despite being so light, the steering offers enough communication too. All models get ESP stability control as standard, which stops the car from rolling back on steeper ascents. In terms of its engines, there are two diesels on offer. The smallest of the two is a 1.6-litre MultiJet unit that develops 105bhp. It has a 0-62 time of 13.4 seconds and is the most frugal engine in the range. At low speeds, it’s a bit sluggish and a tad noisy but it can offer a reasonable amount of pulling power. The bigger diesel is a 2.0-litre unit that develops 135bhp, but you can only get it if you’re prepared to pay extra for either the Dynamic or Eleganza models. Both diesels are paired up with a brand new 6-speed manual transmission, which is accurate and clinical. They also come with stop-start technology that helps to keep running costs down. Insulation is perhaps the biggest issue here, with engine noise easily making its way into the cabin. Wind noise is also problematic, but both drop off when you pick up the pace. Visibility, on the other hand, is a strong point of the car. This is thanks to the big windscreen and the raised seating position. While it’s hardly the most elegant dashboard around, it is at least very user-friendly. The buttons and dials are in a good location and easy to reach, and the quality of the materials used – while still not class-leading – are a big step up over its predecessor. The layout is better too, and this now feels like a cabin that can stand up to the demands that family life on the road will throw at it. 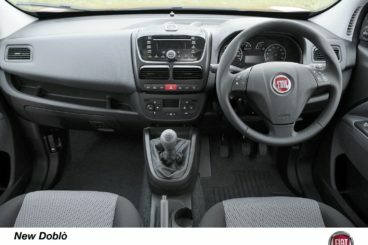 Is the Fiat Doblo Diesel Estate practical? Headroom is excellent for everyone thanks to the Doblo’s high roofline. The car has a longer wheelbase than last time and it’s wider too, and this means that rear legroom has been improved. It’s now a very accommodating family car. Two adults or three children can sit in the rear in comfort, and if you go for the Family model you can upgrade to a seven-seater. That said, the two extra seats have limited space and are really just for kids. The boot, meanwhile, is huge and measures 790-litres. Fold the rear seats and you can extend it a whopping 3,200-litres, which helps to make the Doblo the standout practical choice in this sector. It also comes with a low load lip and is super user-friendly. Rear sliding doors further underline the Doblo’s appeal as a very good family car, making it easy for people to access the rear. Standard kit across the range is decent. The entry-level Active model comes with a Hill Holder feature, 16” steel wheels, electric front windows, a CD stereo, a height adjustable steering wheel, 60/40 split folding rear seats and remote central locking. The Dynamic model adds an extendable luggage cover, lumbar support, height adjustable front seats with armrest, and an air conditioner that comes with a pollen filter. The Eleganza model rounds things off with an MP3 player, front fog lights, 16” alloys, a leather gear stick and steering wheel, an adjustable parcel shelf, and electric folding door mirrors. In terms of how safe the car is, the Doblo hasn’t actually been crash tested by Euro NCAP and therefore doesn’t have a safety rating. Its standard safety kit includes ISOFIX child seat mounts, lots of airbags and Electronic Stability Programme. Is Fiat a reliable brand? Read our unbiased and honest summary about that here. Prices for the new car start out from £14,240 and rise to £20,145. For more information on our leasing deals, you can check out our page here. In terms of its running costs, the diesels are the ones to go for if you want to keep costs down as much as possible. That said, while the 1.6-litre diesel can return as much as 51.4mpg on a good day, it’s far from the most economical in this class. It also emits 144g/km of CO2, which compares unfavourably with rivals. That said, the diesels are much more economical than the sole petrol engine in the Doblo range. With prices starting out from less than £15,000, this has to be one of the most value for money cars on the market. Its 790-litre boot trumps all rivals. Think about that for a second – its boot measures almost 800-litres with all the seats up. For such a tall car, it’s very stable on the road. It looks like what it is – an alternative to a more traditional and stylish family car. The diesels are gruff and unrefined. Let’s see how the car fares against its rivals in the comparison section of our 2018 Fiat Doblo Diesel Estate review. The new Peugeot Partner Tepee isn’t much fun to drive and makes a lot of noise – but it’s still an intriguing, practical alternative to a regular family car. On the road, it looks like a van and drives a bit like one. This is all down to its tall stature, which makes body roll inevitable in bends. There’s not much Peugeot could have done about that but what they could have done was lighten up the steering a bit. It’s too heavy. Moreover, the gearbox is too clunky. Overall, though, while it might not be much fun, the Partner Tepee is very capable, both in the town and cities and on the motorway. In terms of its engine, there’s just one diesel available. This is a 1.6-litre BlueHDi 100 unit that isn’t going to rock your socks, and a 0-62 time of 13.0 seconds looks painfully slow on paper. Still, it’s a workhorse of an engine that copes well with the car on a full load. Running costs? The diesel engine is able to return an impressive 67.3mpg economy at best and emits just 112g/km of CO2. These are good numbers for a car of this type. Inside, the Partner Tepee probably looks a lot smarter than anyone expected. It’s comfortable, roomy and its layout is attractive enough. We like it and standard kit includes a touchscreen infotainment system with MirrorLink smartphone connection if you go for the Outdoor model. 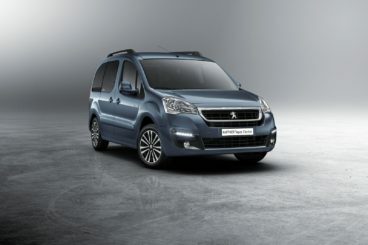 Is the Peugeot Partner Tepee practical? As usual with a car like this, its boxy shape has its pros and cons, and one of its major pros is that it creates a lot of interior space. This is a very spacious, very accessible and very versatile cabin. Rear sliding doors are available on all models, while an overhead storage system is available as an optional extra. Go for the Outdoor model and you also benefit from a 10mm increase in ride height. The boot on all models, meanwhile, measures 675-litres and can be extended to 3,000 by folding the rear seats. Like the Fiat, you can specify two extra seats if you wish. Like the Fiat, the new Citroen Berlingo MultiSpace won’t be winning style points anytime soon. But it isn’t here to look pretty. Instead, it’s here to compete on boot space, interior space, usability and value for money – and it does all of that very well. On the road, the Citroen isn’t all that peppy but the brand has updated its engines so that it feels livelier than last time. It’s also just as steady and solid as before, and it’s also just as noisy as before. There’s no hiding from the fact that you’re driving around in a car that’s based on a van, and compared to modern day SUV’s, this one is going to feel old hat. Body lean in particular is an issue. In terms of its engines, the 98bhp BlueHDi 100 diesel is our top pick. It has a 0-62 time of 12.4 seconds and has a good amount of pulling power. It also copes well enough with the car on a full load. The 118bhp BlueHDi 120 diesel adds more power and completes the 0-62 dash in just 11.4 seconds, but its price takes it beyond budget-friendliness. Running costs? The smaller diesel is the most frugal engine in the range and can return as much as 67.3mpg if stop-start is specified. Without the fuel-saving tech, the engine can return 65.7mpg on a good day. The bigger diesel, meanwhile, is good for 64.2mpg on a good day with stop-start. Inside, it’s apparent that you’re sitting in what was once a van but we don’t hold that against the Citroen. Its dashboard is as utilitarian as ever, but Citroen have jazzed things up a bit with a recent facelift. There’s more technology now on display, while the highest spec Flair model comes with a 7” touchscreen. Aesthetically speaking, however, this is as crude as cars like this get. 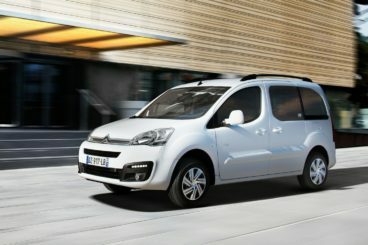 Is the Citroen Berlingo MultiSpace practical? The boot measures 675-litres with all the seats up. Fold the rear seats and you can extend it to 3,000-litres. That’s still not as big as the Fiat but it’s going to be big enough for most buyers. Other than that, the rear sliding doors are suitably enormous and make access a cinch, and there are lots of storage solutions dotted around the place. These include an overhead storage system like the kind you get on airplanes. Head and legroom, meanwhile, is great even if you specify the two extra seats. If you fancy a bit more usability from your family car and you’re operating on a budget, you can’t really go wrong with the Doblo. The only thing it isn’t is pretty. Other than that, this is a very practical car that even comes with a few unexpected perks. For example, it handles well. Overall, if you need a massive boot, want the option of 7 seats and don’t have a huge budget, the new Fiat Doblo Diesel Estate makes a lot of sense.